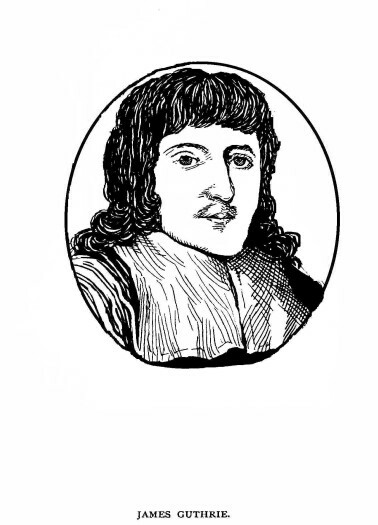 27 May 1661 and the Rev James Guthrie on 1 June 1661.
church. His scholarship was rewarded. ministry of a humble Presbyterian church. of a vengeful government twenty three years later. moved his home to in 1650.
would be used as evidence against him at a later date. 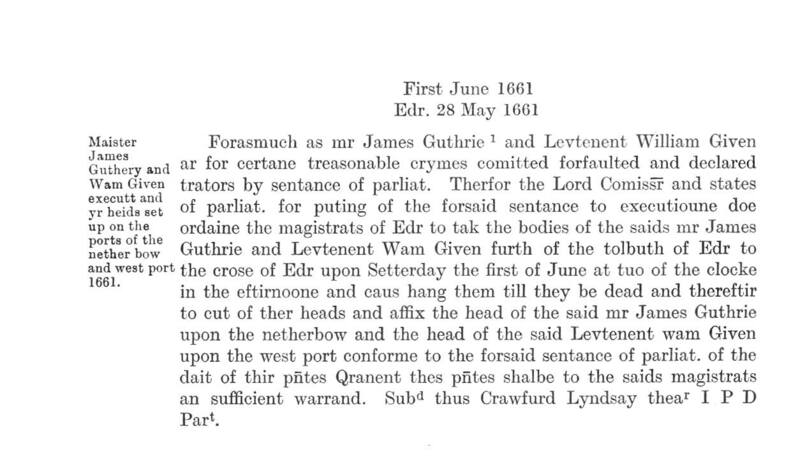 on 20 May 1650, the day before his execution. should be Episcopal, Independent or Presbyterian. against the absolute military ruler. were critical of the Cromwellian approach to religion. arguement. A mighty testimonial by a mighty man. was followed by Restoration of King Charles in 1660.
of the Assembly which was an address to the King. grudge bearing Earl of Middleton. gate and his estate confiscated. as he stepped into eternity. fastened up the most beautiful head in the world. successor as minister at Stirling.